According to some owners of the drone, DJI Spark drones are falling from the sky. This comes as a surprise from a longtime successful drone manufacturer. Some owners of the DJI Spark have reported that their drones switch off mid-flight and crash. DJI says it’s looking into incidents case by case. No electronic product, especially when it’s based on a new tech, is exempt from bugs that remind us that there’s always room for improvement. We remember the series of explosions of Samsung’s Galaxy Note 7 that left many hands injured. This problem spans the industries. For example, Carmaker Volkswagen is recalling 766,000 vehicles worldwide due to defects in the brake systems. What’s true for smartphones and cars is, without surprise, also true for drones. The Chinese DJI (Da-Jiang Innovations) is the largest drone-maker in the world. 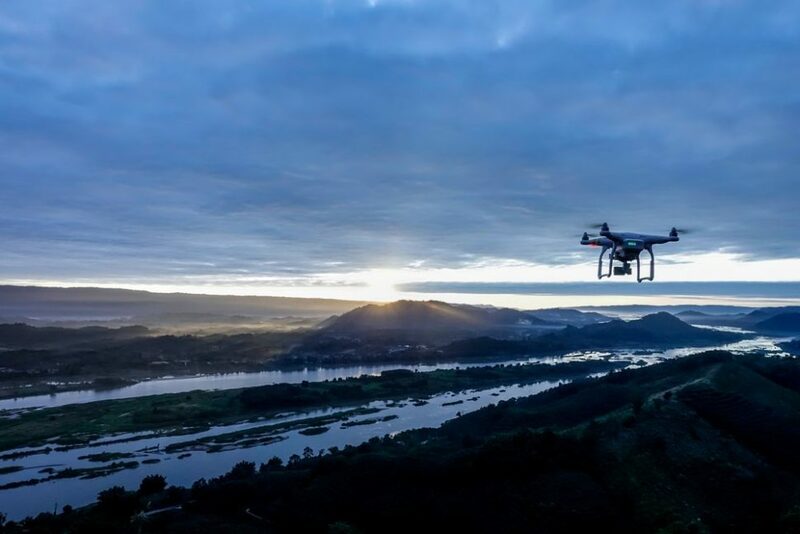 It is a large contributor to the democratization of drones. With its wide range of drone models for professional or amateur use, like the Phantom series, the Mavic Pro and the Spark, DJI is the world’s drone market leader. California-based 3D Robotics (which left the hardware market), French Parrot, and Chinese Yuneec are far behind. In 2016, over a third (36%) of drones in the $500-$1,000 USD range sold in the U.S. and Canada were manufactured by DJI. For drones priced $1,000-$2,000 USD, DJI’s share of the market was 66%, and for the next segment, $2,000-$4,000 USD, 67%. The DJI Spark is the smallest and, starting from USD $499, one of the most affordable consumer drones. Concentrating cutting-edge technologies in a smaller and cheaper package, the Spark enjoys big popularity among amateur drone enthusiasts. The Spark comes with a number of built in recognition systems that should make operating it an easy and pleasurable experience. However, that doesn’t make DJI’s Spark immune to malfunctions. Over the last month, many reports involving DJI’s Spark incidents are circulating the web. Over a dozen of DJI’s forum members, in two threads (1,2), complained about their Spark shutting down without warning and plummeting to the ground. Apparently, some Spark drones have lost power mid-flight suddenly before plunging from the sky, in some cases, into woods or a lake. Some suggest user errors, while others point to issues with DJI firmware. DJI’s Spark case isn’t the first in the industry. Last fall, GoPro had to recall 2,500 units of its flagship drone Karma, weeks after its launch in October 2016. After three months, GoPro announced it’s fixed the issue (losing power during flight due to a bad battery connection) and that the Karma is back for sale. “DJI is aware of a small number of reports involving Spark drones that have lost power mid-flight. Flight safety and product reliability are top priorities. Our engineers are thoroughly reviewing each customer case and working to address this matter urgently. DJI products are tested for thousands of hours, and the overwhelming number of customers enjoy using our products with minimal disruption. Owners of DJI Spark, or GoPro Karma, have you experienced any issues with your drone?